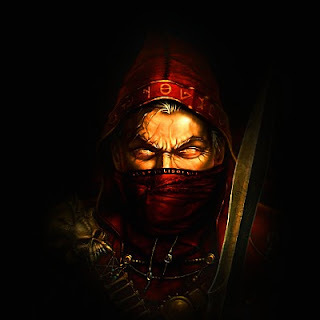 “Yazeed was from the teenage muslims he was neither a disbeliever nor a Zindeeq (heretic) he used to give a lot (of wealth in charity) and he was brave. (al-Waseeyatul-Kubraa (pg.300), Majmoo al-Fataawa (2/41). 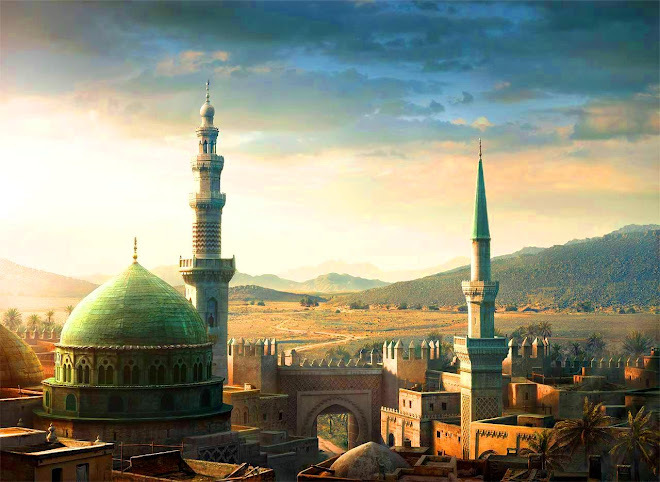 “This man (Yazeed) was a king from amongst the muslim kings and he was not like this and that (as the people claim).” (Minhaaj as-Sunnah (2/247). “Rather the Islaam of Mu’awiyyah, Yazeed, Banee Ummayyah and Banee Abbaas is established with Tawatur (ie so many narration's) and similarly their praying, fasting and Jihaad against the non-believers is also established.” (Minhaaj as-Sunnah (1/163). (al-Manaar al-Muneef Fis-Saheeh Wadh-Dha’eef (pg.220). Has described all the tribulations, which will occur till the day of judgment. He (Sallallahu alaihi wa sallam) had warned the Ummah about Yazid as well. 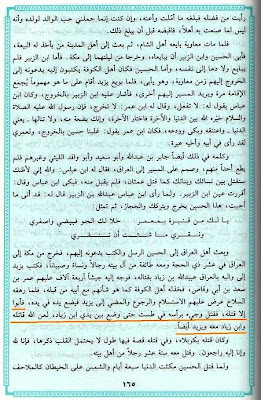 Many Hadith have been reported in this connection. In some Hadith, Yazid has only been indicated and in some he has been explicitly mentioned, that the first person in the Ummah to change the Sunnah and to destroy the Deen will be a person from Bani Ummayyah called Yazid. 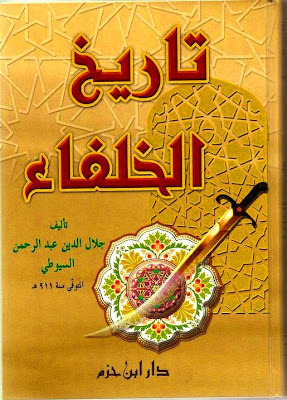 Imam Abu Bakr bin Abi Shaiba has written in his "Musannaf"
Imam Abu Ya'ala has written in his "Musnad"
Imam Ahmed bin Hussain Baihaqi has written in his "Dalaail e Nabuwwa"
Imam Ibn Katheer in "Bidayah Wan Nihayah"
Imam Jalaluddin Suyuti in "Tarikh Al Khulafa." It has been narrated on the authority of Hadhrat Abu Ubaidah bin Jarrah (May Allah SWT be well pleased with him) that the Holy Prophet (Sallallahu alaihi wa sallam) said: The affairs of Ummah will be maintained with justice, till a person from Bani Ummayyah will be first to cast a crack in the religion. He will be called Yazid. All the narrators of this Hadith are honest and reliable. 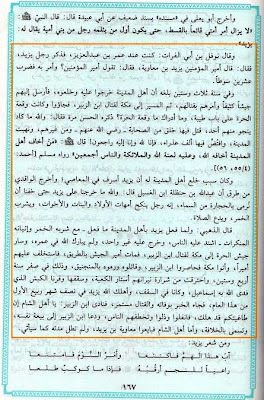 The aforementioned Hadith has also been recorded by the great Muhaddith Imam Shahabuddin Ahmed bin Hajar Haitami in As Sawaaiq Al Muhriqa, Pg no. 132. 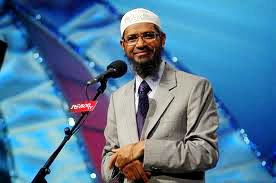 He has recorded another Hadith in this regard in the same book on Pg No. 132. Hadhrat Abu Darda (May Allah SWT be well pleased with him) relates: I heard the Holy Prophet (Sallallahu alaihi wa sallam) say: The first person to change My Sunnah will be a person from Bani Ummayyah who will be called Yazid." Imam Ibn Katheer has recorded the same Hadith in Bidayah wan Nihayah, Vol 6, Pg No. 256 on the authority of Hadhrat Abuzar Ghifari (May Allah SWT be well pleased with him). In that narration, the words, "who will be called Yazid," are not related. Dalaail Un Nabuwwah lil Baihaqi- Abwab Ghazwa Tabuk, Hadith No.2802Matalib al A'aliyah, Kitabul Futooh, Hadith No.4584. There is a Hadith in Sahib Bukhari, Vol 2, Kitab ul Fitan. 'Amr bin Yahya Sae'ed bin 'Amr bin Sae'ed narrates on the authority of his paternal grandfather; that he said: I was sitting along with Hadhrat Abu Hurairah (May Allah SWT be well pleased with him) in Masjid Nabawi in Madina and Marwan was along with us. My Ummah will be destroyed at the hands of a few young men of the Quraish. Marwan said: Allah curse such youngsters. Hadhrat Abu Hurairah (May Allah SWT be well pleased with him) said: I can say 'so and so, son of so and so and so and so, son of so and so, if I want to. 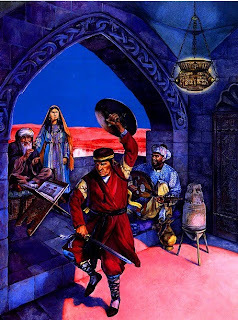 Hadhrat 'Amr bin Yahya says, I, along with my grandfather, went to Bani Marwan when they were ruling over Syria and found that he was a young boy and my grandfather said shortly they will also become one of them. We said you understand this better. Ask for Allah's protection, against the start of the decade of 70 and against the against the rule of young men." let me not reach 60 A.H. and the rule of youngsters.'" In this Hadith, it is indicated that the first youngster would become a ruler in 60 A.H. Accordingly this is what happened. Yazid bin Mua'awiyah occupied the seat in this year, stayed there till 64 A.H. and died. "The first youngster to rule was Yazid." "Then those who invite towards misguidance will arrive." Mabhasthul Fitan: In Syria, the one who invited towards misguidance is Yazid and in Iraq. Mukhtar." By young men, it is meant those who were after the first four rightly-guided Caliphs, (Khulafa Rashidun), i.e. Yazid, Abdul Malik bin Marwan etc." In a very short period of time, he (Yazid) spread extraordinary decay in the Ummah. He destroyed Madina Munawwarah (from where the world was granted peace); in Makkah Mukarramah, (which has been declared by Allah SWT as a city of peace), he set up cannons and rained stones on the Ka'aba. He denied water to the Ahle Bait for 3 days in the battle of Karbala. He insulted the Ahle Bait. He persecuted the family of the Holy Prophet (Sallallahu alaihi wa sallam) to no end. He martyred the associates of the Ahle Bait and he martyred Imam Hussain (May Allah SWT be well pleased with him). Published by Dar Ibn Hazm, Beirut, Lebanon. Ibn Zyad himself said that Yazid ordered him to martyr Imam Hussain (May Allah SWT be well pleased with him) on the threat of death. Imam Ibn Atheer (May Allah SWT shower His Mercy on him) records the confession of Ibn Zyad. Translation: "Now, about my martyring Hussain (May Allah SWT be well pleased with him), the fact is that Yazid ordered me to do this. 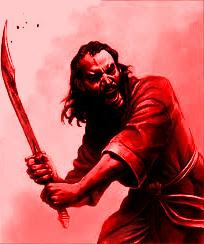 He threatened to kill me if I didn't, so I martyred Imam Hussain (May Allah SWT be well pleased with him)." According to Islamic Law, if any person murders anybody else, then as a punishment, the murderer is killed. But Yazid neither killed Ibn Zyad, Shimar or other officials nor dismissed them from their offices. Instead, he expressed his happiness. Afterwards, out of fear that the situation might go out of control he expressed some sorrow in a formal, political manner. Due to the martyrdom of Imam Hussain (May Allah SWT be well pleased with him), the people of Madina became strongly opposed to Yazid and pledged their allegiance to Hadhrat Abdullah bin Hanzlah (May Allah SWT be well pleased with him). 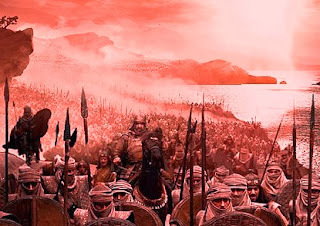 Yazid sent an army to attack Madina, which attacked the people of Madina and persecuted its citizens. On that occasion, Hadhrat Abdullah bin Hanzlah (May Allah SWT be well pleased with him) spoke to the people of Makkah and described the un-islamic activities of Yazid. 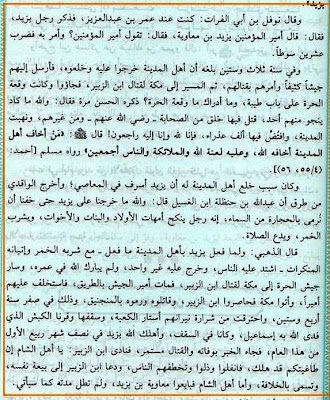 Hadhrat Muhammad bin Sa'ad (May Allah SWT be well pleased with him) who is a Muhaddith as well as a historian, has written in Tabaqaat e Kubra, Vol 5 Pg No. 66. O my community! Fear Allah, who has got not equal. By Allah! We stood up against Yazid, when we feared that stones would be rained on us from the sky. He is such a person, who declares marriage with mothers, daughters and sisters as permissible (Jayaz), who drinks wine and abandons Salaat. By Allah! If no one from the people supported me, even then I will use my courage and bravery in this matter for the sake of Allah SWT." "We come from such a person, who has got no Deen. He drinks wine, plays tambourines, songstresses dance before him, he plays with dogs and listens to stories with thieves and rascals. O people! We make you a witness that we break our pledge given to him. Then all the people of Madina broke their pledge. People came to Hadhrat Abdullah bin Hanzlah (May Allah SWT be well pleased with him)and pledged their allegiance to him. The great Tabi'e Hadhrat Hasan Basri (May Allah SWT be well pleased with him) says about Yazid: He was a drunkard of the last degree, he wore silk and played with tambourines." He was so addicted to wine that he did not stop it even when he reached Madina Munawwarah in Hajj and started drinking there as well. 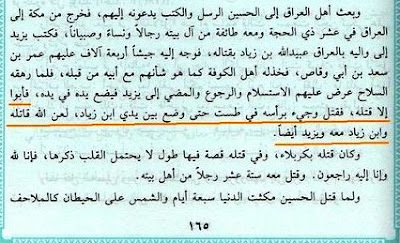 Translation: Yazid performed Hajj in the life of his father. When he reached Madina Munawwarah, he started drinking wine." The reason for the incident of Hira is that a delegation from Madina went to Damascus to meet Yazid. When they returned, they related Yazid's habit of drinking and his other bad habit to their families. The worst among his habit was that he missed Salaat because of wine. For this reason, the people of Madina agreed to break their pledge of allegiance. They declared this near the Prophet's Pulpit in Masjid Nabawi. When Yazid came to know this, he sent an army to Madina Munawwarah. The leader of the army was a person named Muslim bin 'Uqba. The Pious Elders (Salaf Saliheen) have also addressed this person as Musrif bin 'Uqba. When he entered Madina, he declared the lives of the Madinians and their property as "Mubah" for 3 days, which meant that for 3 days, the army could do whatever they liked with the lives and the property of the people of Madina. Thus, in those 3 days, he martyred hundreds of people. It has been narrated on the authority of Hadhrat Mugheera (May Allah SWT be well pleased with him) that Musrif bin 'Uqba looted Madina for 3 days and raped 1000, unwed, chaste daughters of Islam. 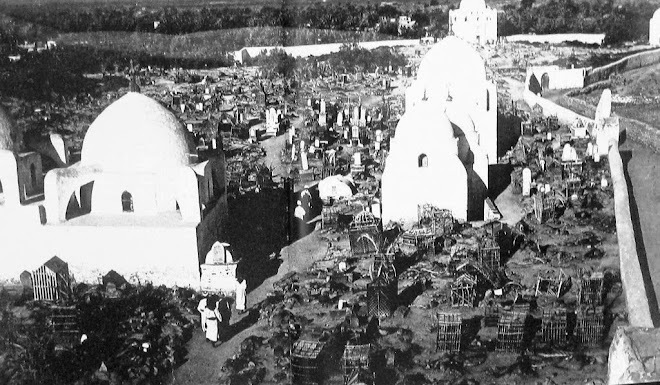 Muslim bin 'Uqba attacked Madina with his army. Yazid's army martyred 700 Hafidh of the Holy Quran, raped 1000 unwed, chaste Muslim women and for 3 days, there could not be any Adhaan and Salaat in Masjid Nabawi. Translation: Nawfl bin Abi Firaat (rah) said that once he was sitting with Caliph Umar bin Abdul Aziz (rah) when a man called Yazid as "Ameer ul Momineen Yazid bin Muawiya" at this (Umar bin Abdul Aziz said in anger): YOU CALL THIS PERSON AS AMEER UL MOMINEEN?! 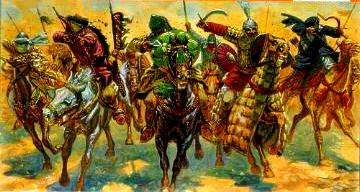 and then he ordered the person to be "LASHED 20 TIMES" …in 63 AH Yazid got to know that people of Madina have rejected him and are preparing to revolt against him, knowing this Yazid sent a huge army to Madina and "DECLARED WAR UPON IT’S PEOPLE" after looting in Madina he sent the army to martyr Hadrat Abdullah bin Zubayr (ra) in Makkah and so the incident of "HURRA" took place, do you know what Hurra is? 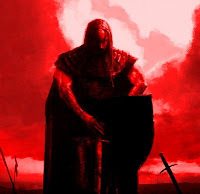 Regarding it Hassan (a Tabi'i) said: When Madina was attacked, there remained not a single person who was safe from it, "HUGE AMOUNT OF SAHABA AND OTHERS WERE MARTYRED PLUS MADINA WAS LOOTED AND THOUSANDS OF VIRGIN GIRLS WERE RAPED"
Yazid ordered the ravaging of Madina Munawwarah, public killings, when there are severe warnings in Hadith for those just who frighten the people of Madina Munawwarah. There is a Hadith in Musnad Ahmed, Musnad madaniyyen Hadith No. 15962. 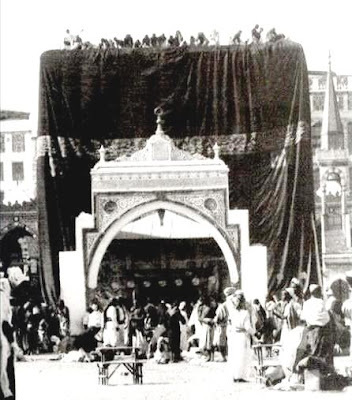 It has been narrated on the authority of Hadhrat Saib bin Khalad (May Allah SWT be well pleased with him) that the Holy Prophet (Sallallahu alaihi wa sallam) said: Whoever frightens the people of Madina by their oppression, Allah SWT will frighten him and on him rests the curse of Allah SWT, of the angels and of all the people. Allah SWT will not accept any obligatory (Fardh) of optional (nafl) act from such a person the Day of Judgment. It can be imagined what will be the lot of the person who not only frightened the people of Madina but spilled blood and ravaged Madina and gave permission to the whole army for their animalistic deeds. Afterwards, Yazid ordered the army to attack the Ka'aba in Makkah. Accordingly, Yazid's army set up their cannons and stoned the Ka'aba, because of which the curtain of the Ka'aba caught fire. we stone this Masjid with cannons." "Some Imams, because of ordering the martyrdom of Imam Hussain, declare him as a disbeliever (kafir) and defector (murtad), and hold cursing Yazid as permissible. The scholars of this Ummah are in agreement on the permissibility of cursing those martyred Imam Hussain and those who ordered it or those consider it (the martyrdom) as permissible and those who became happy on it. 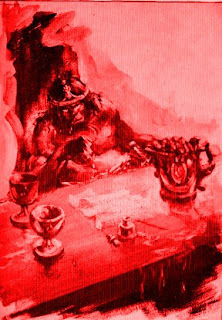 The fact is that Yazid's agreement on the martyrdom of Imam Hussain, his being happy with it and his insulting the Ahle Bait is well established by those traditions, which are in effect, equal to the "mutawatir" (popular) Traditions, even though its details may not be established by a first-hand report (Khabr Wahid). So we cannot exercise restraint on Yazid, but we will exercise restraint about the Iman of Yazid. May Allah curse him and his helpers." The words "raziallahu anhu" are used to signify Allah's pleasure. They are used as a form of respect to praise somebody. "Raziallahu anhu" is used specially for the Sahabah and for those pure souls, whose hearts are filled with fear and awe of Allah SWT, as Allah SWT himself says: Surah Bayyinah-08. The aforementioned Hadith and the interpretations of the Imams make it clear that Yazid was wretched. He changed the Sunnah, he cast a crack in the Deen. He insulted the Haramain, he insulted the Ahle Bait. 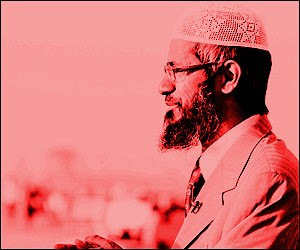 Using "raziallahu anhu" for such a person is to respect him and this is equal to destroying the edifice of Islam. This is to invite Allah's anger and misguidance. The Holy Prophet (Sallallahu alaihi wa sallam) has declared respecting an innovator (bida'ati) as helping to destroy the edifice of Islam. There is a Hadith in Imam Tabarani's Mo'jam ausat (Hadith No: 6263). "Whoever respects an innovator, verily he helps in destroying Islam." 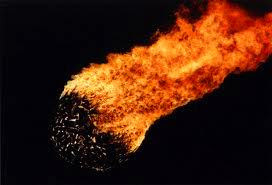 When a innovator (bid’ati) is respected, Allah SWT expresses His anger and because of it, the 'Arsh trembles." declared the person who addressed Yazid as "Raziallahu anhu" as liable to be punished. Imam Ibn Hajar Asqalani, in Vol 11, the letter "ya", Pg No. 316. Amir Ul Momineen said so and so"
"You address Yazid as ‘Amir Ul Momineen’?" and ordered that he should be lashed 20 times. Hence, he was lashed 20 times." This so called "scholar" finds it amusing! "On him is what he deserves!" La'anat upon you and your followers! "My Ummah will be destroyed at the hands of a few lads of Quraish..."